“As of New Year's Day, workers in the following states can expect a round of raises: Alaska, Arizona, California, Colorado, Florida, Hawaii, Maine, Michigan, Minnesota, Missouri, Montana, New Jersey, New York, Ohio, Rhode Island, South Dakota, Vermont, and Washington. 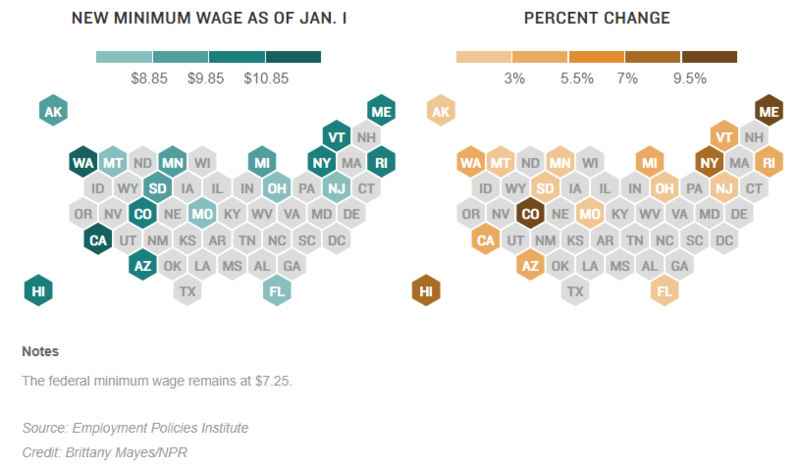 Those states already meet or exceed the federal minimum wage, so these new raises will push up the bottom even higher. For example, in Ohio, the state minimum wage is $8.15 an hour. After Jan. 1, it will be $8.30.” Click here to learn more. “On Jan. 1, New York will join California, New Jersey and Rhode Island in requiring employers to give workers paid leave to bond with a baby, care for a close relative with a serious illness or help loved ones during a family member’s military deployment.” Click here to learn more. In November, 700,000 female farmworkers spoke through a letter in solidarity with Hollywood actors against sexual assault. A legal defense fund, backed by $13 million in donations, to help less privileged women — like janitors, nurses and workers at farms, factories, restaurants and hotels — protect themselves from sexual misconduct and the fallout from reporting it. 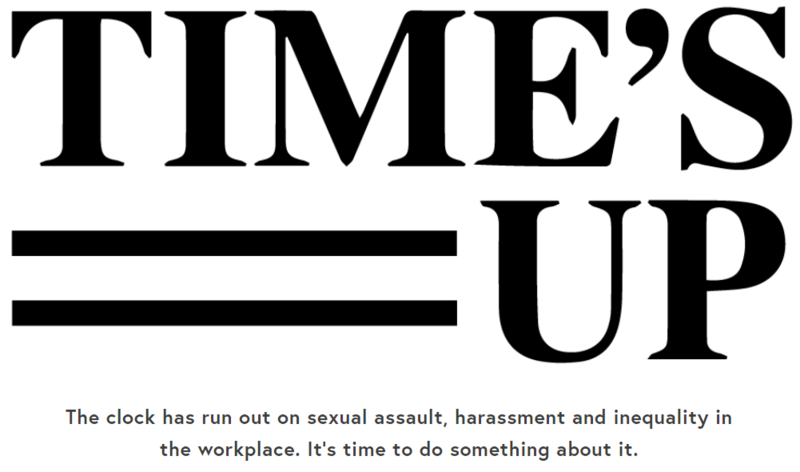 Legislation to penalize companies that tolerate persistent harassment, and to discourage the use of nondisclosure agreements to silence victims. A drive to reach gender parity at studios and talent agencies that has already begun making headway. And a request that women walking the red carpet at the Golden Globes speak out and raise awareness by wearing black. 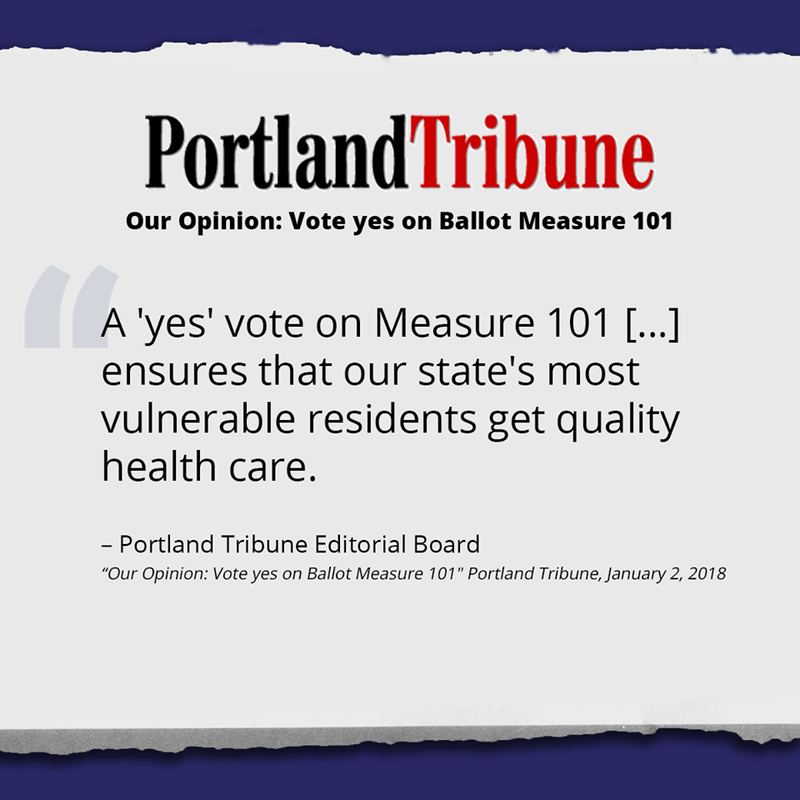 Measure 101: Ballots Arrive Soon! Are you looking for a union-made catering option for your union’s next event? 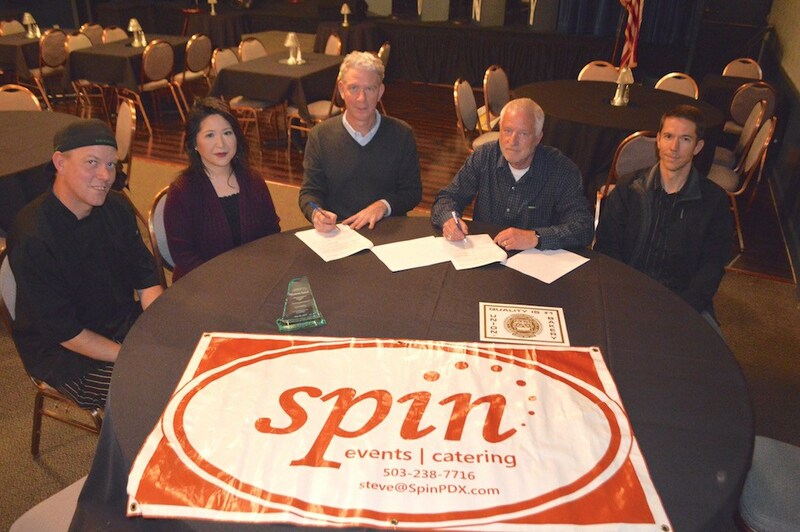 If you’re in the Portland area, Spin Events and Catering workers are now represented by Bakery, Confectionery, Tobacco Workers and Grain Millers Local 114! A democratic workplace is on the line tomorrow as workers at the Los Angeles Times will vote on whether to organize a union with The NewsGuild-CWA (TNG-CWA). 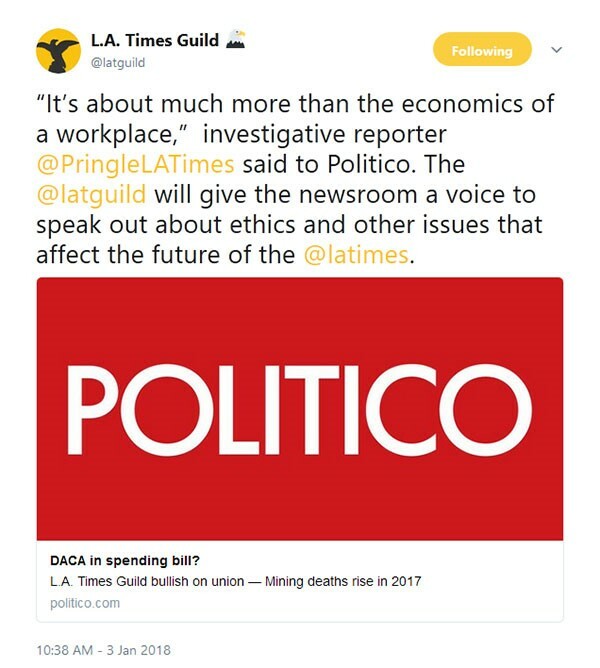 America’s entire labor movement stands in support of the courageous working people at @latguild, because a union newspaper is fair, just and professional. It is part of a growing trend of unionization within media companies. Working people at the Los Angeles Times, one of America’s largest newspapers, are standing up for media professionalism and independence with a campaign to form a union, and America’s union movement stands in solidarity. One key feature of a union workplace is “just cause,” which allows media workers to take ethical stands without fear of reprisal. For decades, pundits have predicted the death of journalism, but this vote says that media workers are ready to take on the future themselves with a democratic voice. In today’s political climate, America needs strong, independent media workers like never before, which is another reason why America’s union movement supports the @latguild.